Hill Top Surgery is a new GP surgery in Fitton Hill developed by Community 1st Oldham on behalf of Hope Citadel, the primary care practice providing the service on behalf of the NHS. 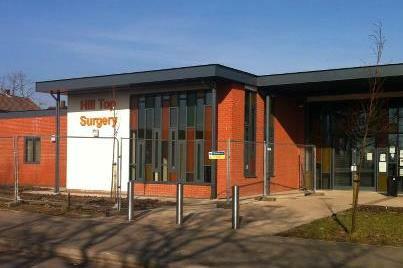 The new building adjoins and fully integrate with the existing Fitton Hill Neighbourhood Centre, which opened at the end of February, and provides GP services in a brand new, purpose-built facility. It replaces the temporary modular building on Deanshut Lane which housed the GP practice while a permenent facility was developed. The new centre opened on 5th March 2013.